All full-price readings are available as gift certificates! Gift any applicable reading to a loved one. The gift reading includes choice of a beautiful certificate printed on card stock or a classy digital version in your loved one’s inbox. Gift certificates are redeemable at any time, transferable and valid forever. 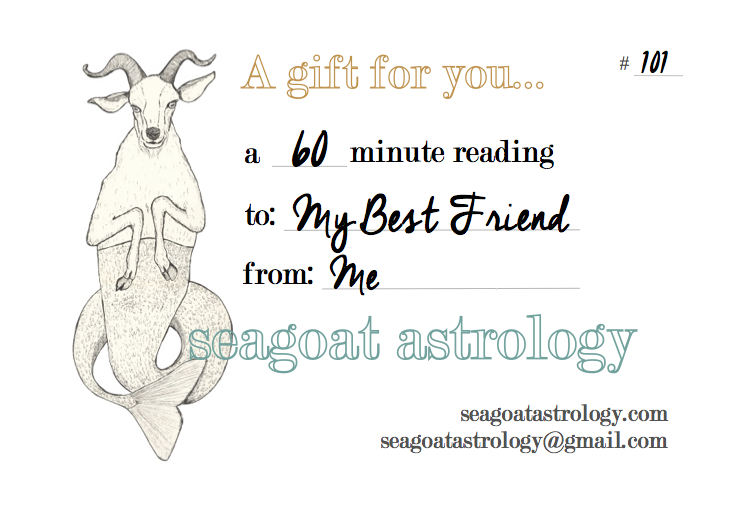 To purchase a gift, email seagoatastrology@gmail.com or fill out the form below. Send me a monthly Seagoat newsletter: (required) Yes! Not right now!